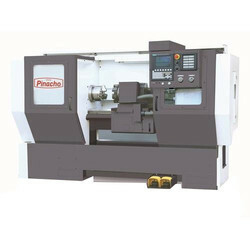 An automatic lathe is a lathe usually a metalworking lathe whose actions are controlled automatically. The Wickman range of multi-spindle autos comprises ten bar machines of capacities from 3 to 80 mm and five chucking automatics, with capacities up to 235 mm. LICO CNC Automatic Lathes are highly innovative and designed with multislide and simultaneously machining capabilities. Manufactured by M/S. LICO Machinery company, Taiwan. They are a true powerhuse of mass production.